College/Young Adult – Our Episcopal Campus Ministry program provides challenging intellectual material and a meal to college-aged youth biweekly on Sunday evenings. With the help of the diocese, Trinity employs a peer minister who helps plan an coordinate these programs as well as events on campus. The purpose of these efforts is to engage young adults where they are in their faith journeys and to encourage them to share and think broadly about their faith experiences and backgrounds. Adult – In the past few months, adults in the church have completed two Church/Next TV courses – the first with presiding bishop Michael Curry and the second with Robert Lupton, author of Toxic Charity: How Churches and Charities Hurt Those They Help (and how to reverse it). We also completed a series of lessons on liturgical music with Scott Alberts, our choir director. 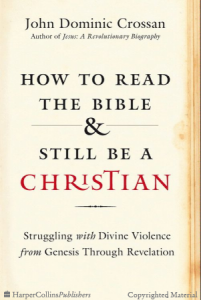 We are currently working with John Dominic Crossan’s book How to Read the Bible and Still be a Christian. In the recent past we’ve explored some of the ideas of Richard Rohr, Henri Nouwen, and a series of lessons on civil discourse. Our group sometimes includes members from other churches; we have intentionally done summer adult formation cooperatively with the Presbyterians. Any adult may suggest an adult formation topic and we often take turns leading discussion of particular book chapters or video segments.